The version has a multi-function input with 29 different calibrated input configurations that can be selected via terminal connections and the input signal in the instrument configuration. The display can permanently show the MIN or MAX value. Moreover, a totalizer function is integrated. The version is equipped with two inputs for standard signals (0/4…20 mA and DC 0…10 V) that can be used in any combination. 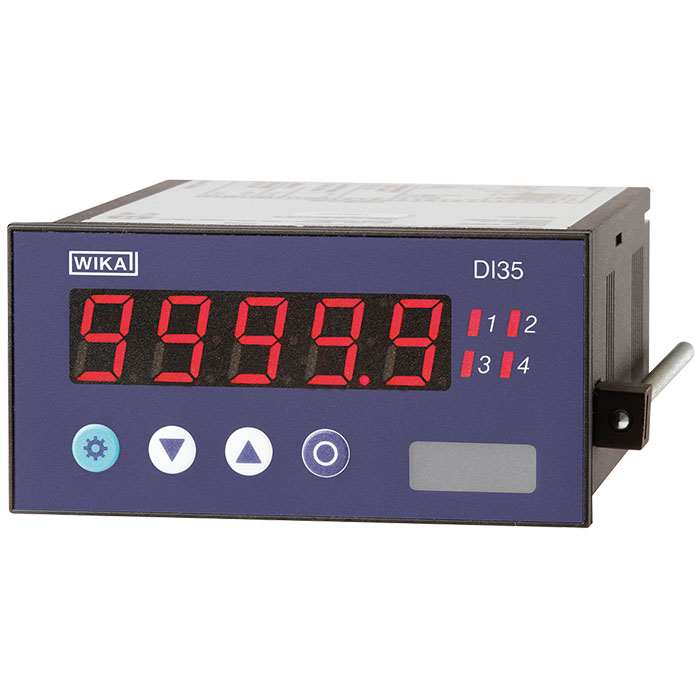 The display can show one of the two input signals or a calculated value. Calculations can be made by means of the four basic arithmetic operations (+ - * /) and an additional constant multiplier. In addition, both versions offer the possibility to calibrate sensors and linearise using up to 30 points. This allows further adaptation of the displayed values to different sensor signals and application requirements. The standard features are completed by a transmitter power supply, a HOLD function and a TARE function for the correction of offset shifts and sensor drifts. 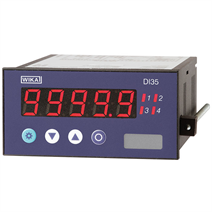 The sampling rate and display time can be configured and the display can be dimmed. Unauthorised alteration of the set instrument parameters can be prevented via different user levels, in conjunction with a freely selectable access code. Optionally available are up to four freely programmable switch contacts, an analogue output signal and a serial interface.